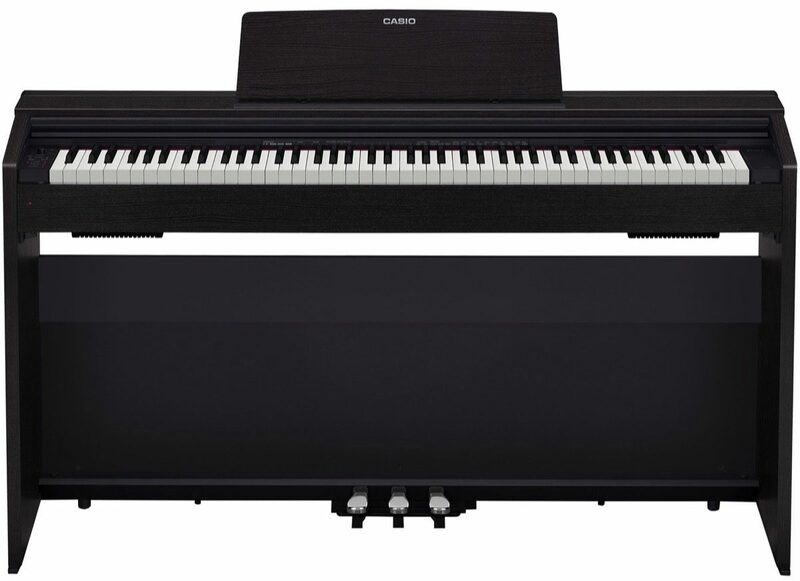 The world-renowned Privia family of digital pianos grows with the Casio PX-870 Privia Digital Piano, designed to provide a true grand piano experience in a slim, modern design. With authentic piano sound, natural feel and impressive features, the Casio PX-870 is a brilliant instrument for inspiring brilliant performances. 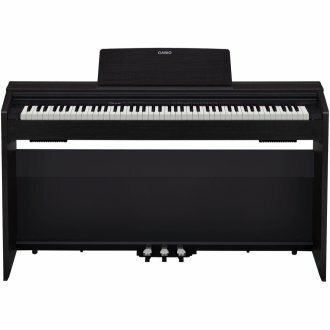 The PX-870's award-winning AiR Sound Source includes a four-layer stereo grand piano which comes alive with realistic damper resonance, simulating the entire body of the instrument, not just the strings. The piano also includes key action sounds, key off simulation, adjustable hammer response, and a lid simulator with four positions. The PX-870 also includes string resonance, which exposes the sympathetic harmonic relationships between vibrating strings. Along with adding to the subtle beauty of the sound, this adds authenticity when playing works by Debussy, Ravel, and other composers who wrote with string resonance in mind. The PX-870's innovative Sound Projection system fills the room with rich, detailed sound. This powerful 40-watt, 4-speaker system is designed to envelop the listener and audience with sound emanating from various places on the instrument, just as it would on a traditional grand piano. The Volume Sync EQ ensures that you hear a balanced, clear sound across the entire frequency range, at any listening volume. 60 songs are included in the built-in Music Library, with room for ten additional songs of your choice. You can also record your performances using the PX-870's two-track MIDI recorder. Available until 11 PM (EST) today. Mention special code 20D-VRRJ when you call.